After sharing a few stories about projects, him and his team had worked on in the past, such as the John Lewis penguin add of 2014, and the Google + Front Row campaign, Priest explained how teams in the industry have changed over the years. It very much used to be a pyramid formation of roles, everything ultimately being approved by one person at the top (usually a male designer), with everything having to be filtered up and down the chain of command to get anything done, with the people at the lower end of the pyramid not really mixing and communicating as much with the people higher up towards the top. Whereas now days everyone in the team needs to be much more of an all-rounder, bouncing questions and ideas between everyone with more of an even level of command being carried out… which is a much more efficient way or working as a creative team, which I have also noticed during my year in industry. 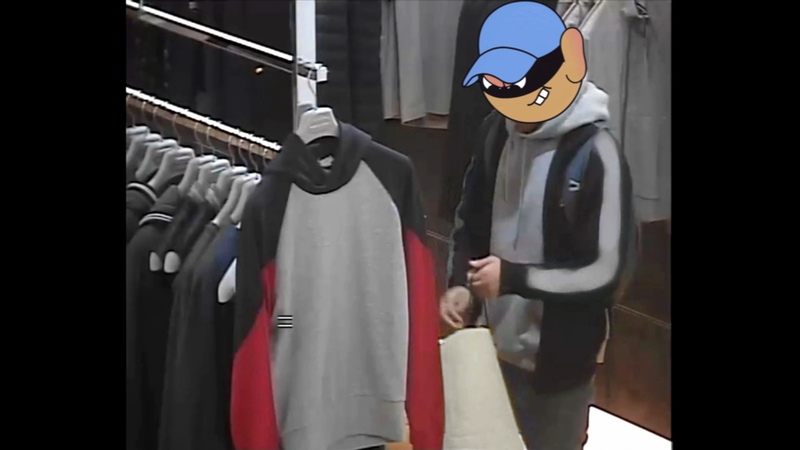 One other story Priest was telling us about was an advert he had worked on for Harvey Nichols’ Reward App campaign, where they had put together clips of people shoplifting from the store with pixilated faces, which they had spent hours of going through footage to put together. However, when they pitched it to Harvey Nichols they were a bit underwhelmed and wanted something different. However, Priest decided to not give up on the idea and keep going, to which they then ended up with a fantastic add with brilliantly animated cartoon faces over the top of the shoplifters, totally changing the feel of the campaign. So, making mistakes don’t matter… just don’t give up on the idea, keep going, improve it, think about it from a different angle and push it as far as you can. To which you could end up with something that really works like this. The link to the video is bellow the screenshot image and I would definitely recommend a watch, it is very funny and a very good campaign. How do you scale it? Haq explained that his opinion is that creativity is the opposite to efficiency, that if you want something to work perfectly it is relevant what it looks like, but if you want something creative then be prepared for it not to work as well. I disagree, I think that good design has got to work very efficiently while being as creative as possible – that is what good design is, is it not? Haq explains that the hardest task in the creative industry falls not to those who come up with new ideas, but to those who risk their careers in approving them. The ones risking their careers on the creativity are the clients, as they are the ones that are actually effected, their brand, their image is what is on the line to what you are creating for them.